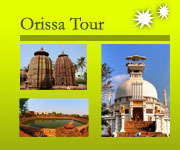 Tour Destination: Orissa is predominantly rural, with fertile green coastal plains rising to the hills of the Eastern Ghats. 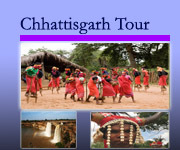 In below given itinerary we try to show you something special, non touristic and friendly village. Most of our villages have character, isolated and completely different from one to other. We try to display the classic idea of real Orissa- the soul of India. 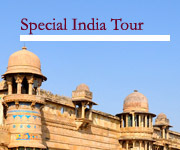 Upon arrival airport/ railway station meet our representative and transfer to hotel. Bhubaneswar is a capital city of orissa, so around 20 km there are nice village called Hirapur famous for yogini temple with nice pond and people are friendly walk around there then return back to hotel. Interact with your guide regarding tomorrow programme. Excursion the unique textile weaving village – Nuapatna famous for tie and dye fabric called “Bandha”. Then drive towards Dokra metal casting village. Then check in a nice heritage palace at Dhenkanal. Morning proceed towards chandbali enroute visit the Golden grass craft village. Then after drive to mysterious village in orissa . whole the village has each and every house has no door and doorjamb – popularly called the village of faith( still today there is no record of thieft at there by anybodies). Orissa’s ancient name was kalinga( means the land of art, so each and every corner one can see the artistic work). Visit the special village famous for Mural painting by rice pest. Check in the heritage palace at Ali, afternoon visit the Malhar (kings boatmen, because in ancient day orissa sailor had been sailing over the jetty of Ali). So visit their settlement. Visit the Baisnav cult person at Niali near Madhav temple. Then Hiking the village at Prachi velly and visit the Chaurasi Barahi temple-10 c AD. Then visit the world famous sun temple at Konark. Then check in a nice hotel on beach at puri. Meet the artist at the heritage village- Raghurajpur, excursion their classic art form- pattachitra, palm leaf engraving art, etc. Then during hiking meet the coconut picker people at their village. Afternoon meet the fishermen at their village on shore. Relax in the same hotel at Puri. Hiking the Mahatma Gandhi rest village ( in 1936 Mahatma Gandhi came to Puri over train, before puri when he listen Puri Jagannath temple has not allowed for lower cast people, he was very disappoint with the system. He decided not to go puri. He dropped 20km before of it. When the local heard Gandhi is at here. They welcomed him their village , so Gandhi stayed there 6 days its called now Mahatma Gandhi village.) Then drive from there to Mangalajodi on chilika lake, famous for migratory and residence birds. Near that spot there is a very nice village famous for country side boat making and net making by hand. Excursion that village. Check in a nice eco resort at there run by the villager. Meet the tattoo faced (kutia) tribe while hiking their village (1hr hiking) still there is no proper road and they live in side of the forest. Then meet the Dokra casting artisan at their unique village, enjoy their group work then after drive towards Rayagada for overnight staying. Excursion the Lanjia Saura Tribe at their village. Lanjia Saura: one of the most colourful tribe not only of our state but also our country. The only Aryan tribe of the state. Famous for their four special thing such as they use wood plug on the ear lob, their special tail shaped dress material ( they called lanja- that why they called lanjia saura), terrace cultivation , special mural dream painting they called idital. After full day excursion return back to Rayagada for overnight stay. Or tented accommodation in Desia Kondh village. Desia kondh village- on the top of high hill and lush green forest ( but that unique village has all weather motorable road) while hiking their village excursion their lifestyle. And overnight stay at there with basic tent (camping). During camping enjoy the tribal dance and group song by the community ( subject to available drum men). Gadhava tribe- they are special for their dress material called keranga and their house making style, visit their worship place, meeting place etc. (enjoy their Dhemsa group dance at their isolated village, subject to available the drum men) and hiking the rana tribe in the lush green forest area then drive towards Jeypore check in a nice hotel at Jeypore. Morning meet the Gadhava tribes at their isolated village in Gupteswar region. Dhuruba: one of famous sub tribe of Gond communities of central india. They are very specific of their physical structure and also their house pattern , their tattoo mark, cloth wearing style, their anklet and ornament. They like to live in a core jungle area. 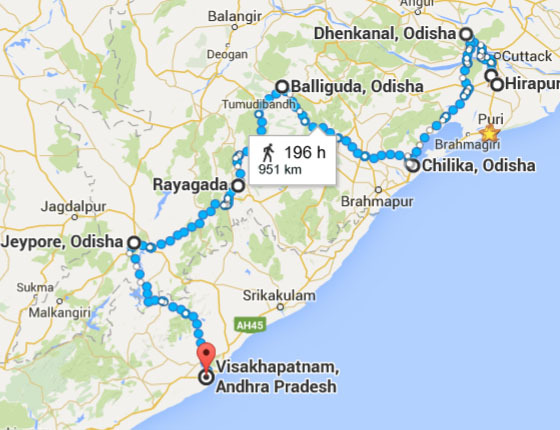 Morning check out and departure for Visakhapatnam enroute visit the colourful Paraja tribal village and explore their life style. Check in a nice hotel at Visakhapatnam. Visakhapanam is a big city has an airport and main junction of rail head. If your flight / train is at late evening then direct drop, at your time to your onwards journey. Note: we have introduced the tent tour (camping) in the isolated village in tribal area which is purely safety even for woman traveler also, it offer certainly the new experience for you which includes basic tent with clean mattress & hygenic organic food ( meal). 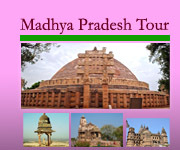 For more detail or revised itinerary and price please feel free to contact with us.